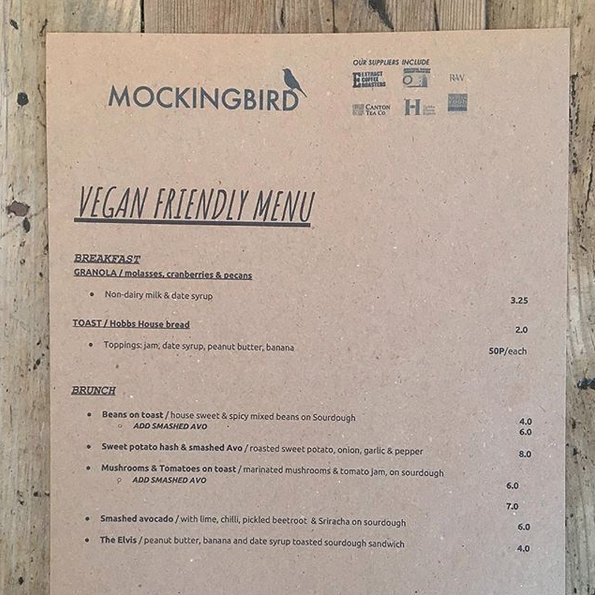 We have a lovely new vegan friendly section to our menu. Come try it out. Breakfast through lunch US South cafe. Freshly made food & drink that can sellout, so get in early! Kitchen finishes an hour before daily closing time. great to know, can’t wait to visit. thank you for feeding us vegans! !